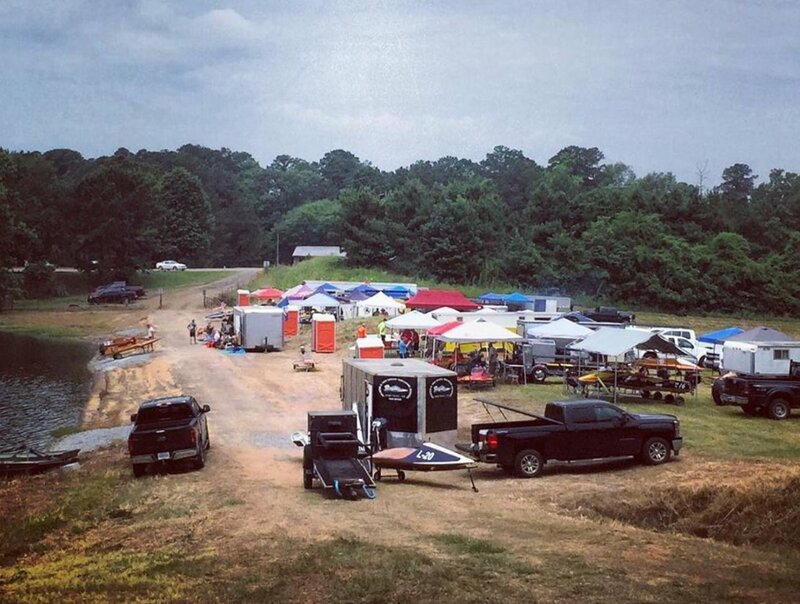 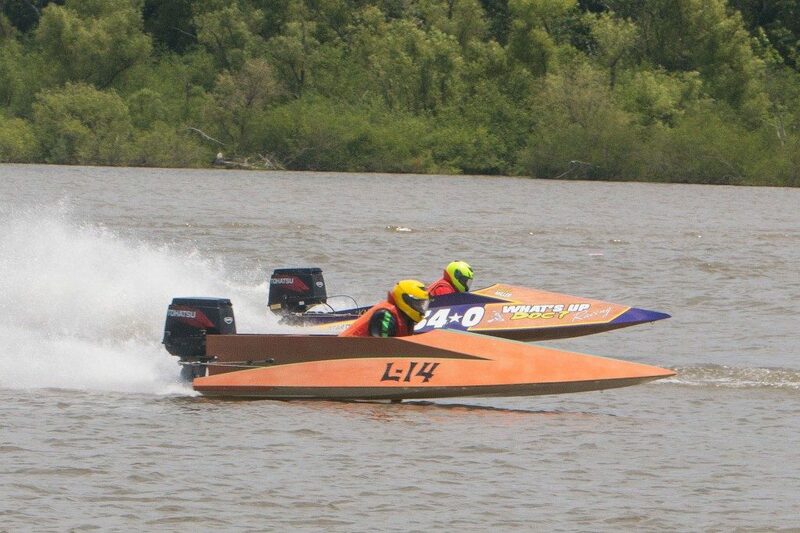 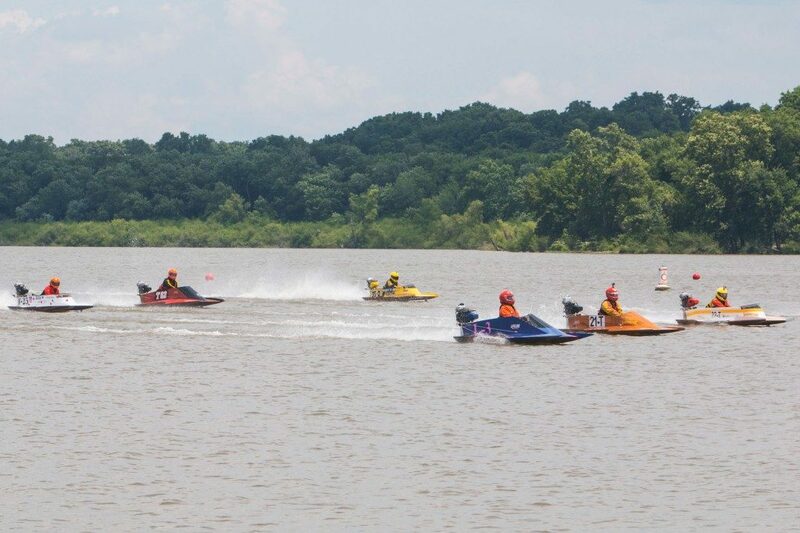 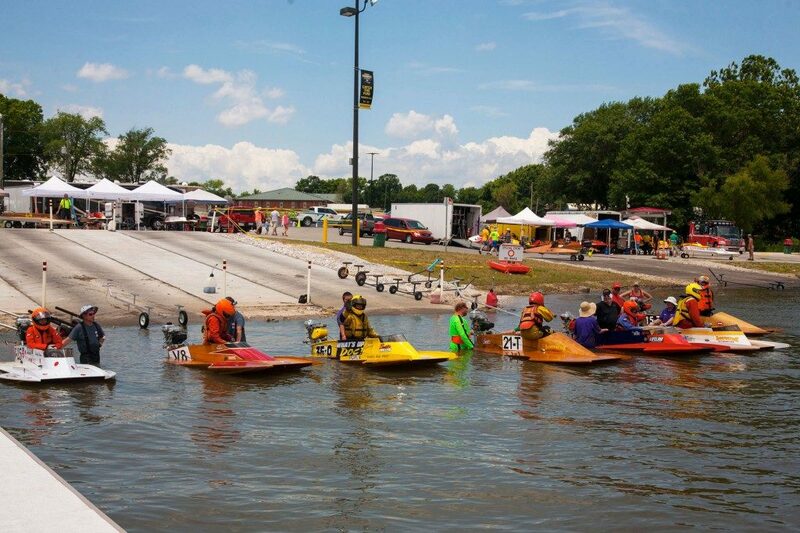 Our racing team is from Grove, OK., and we participate in outboard boat racing throughout the midwest. 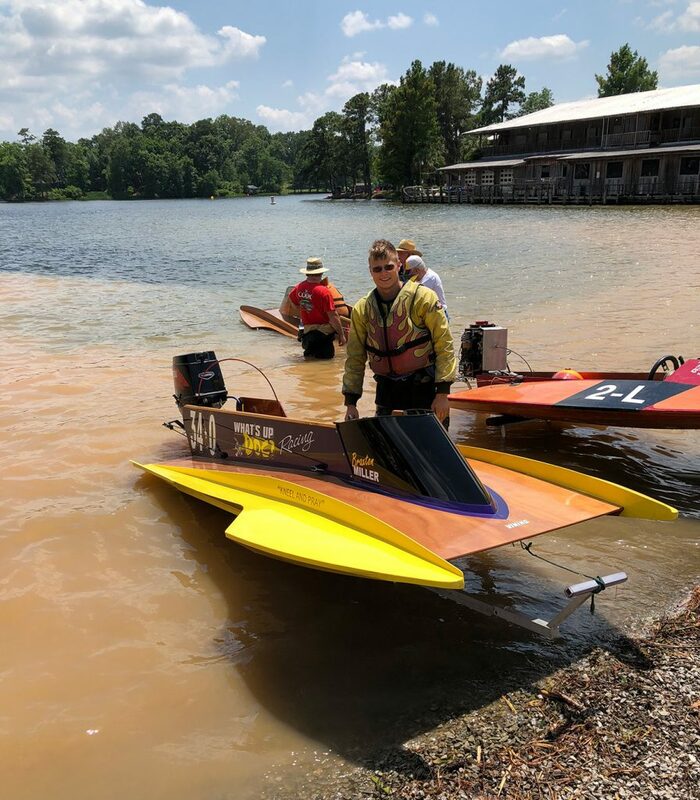 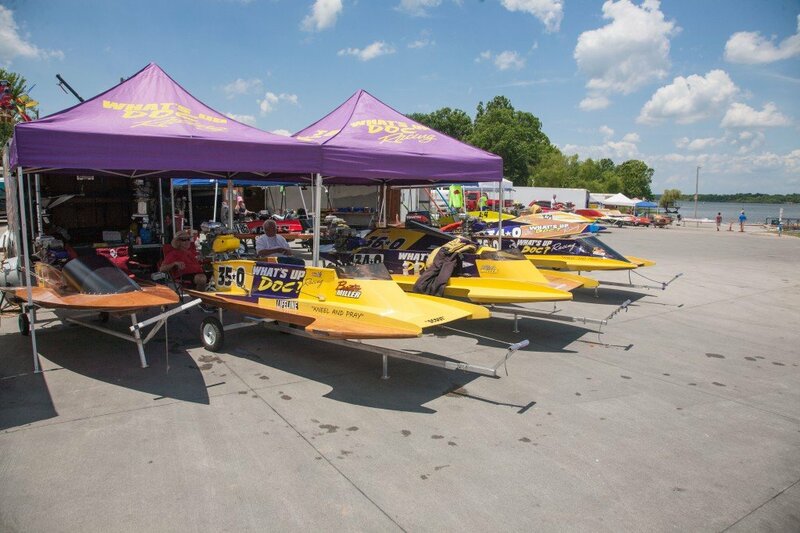 The team has over 70 years of combined hydroplane boat racing experience. 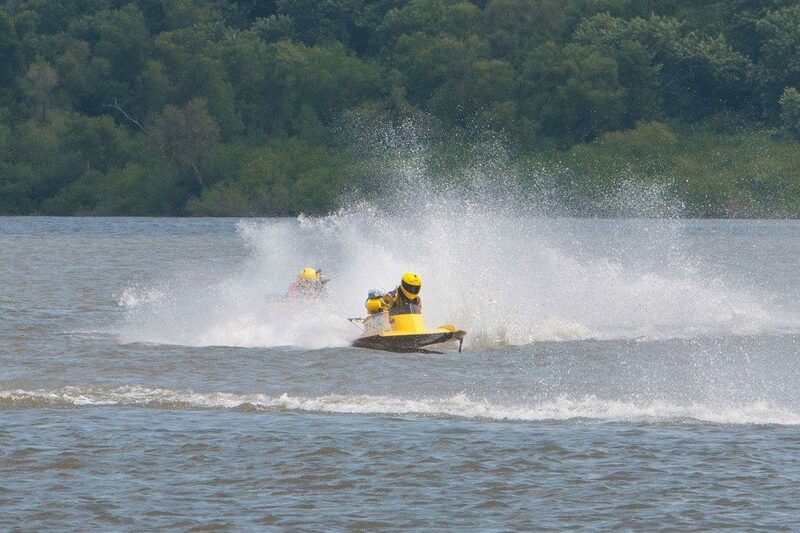 While it is great to win, our goal is to have fun and to compete in the sport. 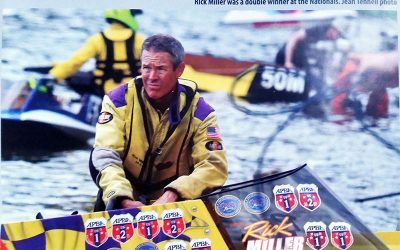 Rick started racing at age 14. 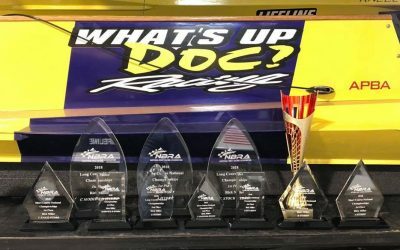 After 38 years, he has compiled one of best records in the history of the sport. 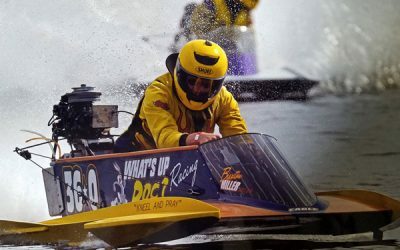 In APBA (American Power Boat Association), he was the winner of two Bob Gollor Awards (high point) and is a five time Hall of Championship inductee. 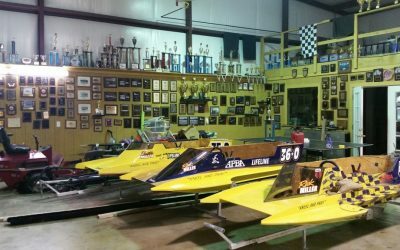 Rick holds both the 3/4 and 1 mile completion 400 Mod Hydro record in APBA. 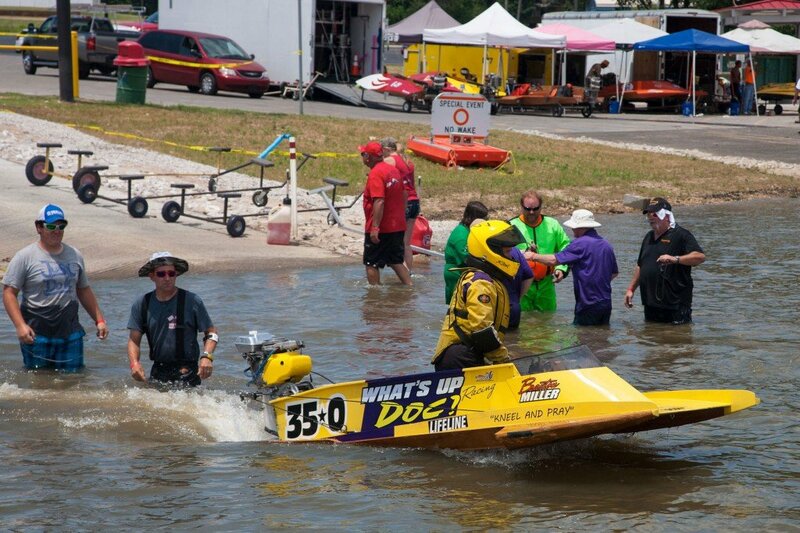 He has won the High Point Driver of the Year in the National Boat Racing Association (NBRA). 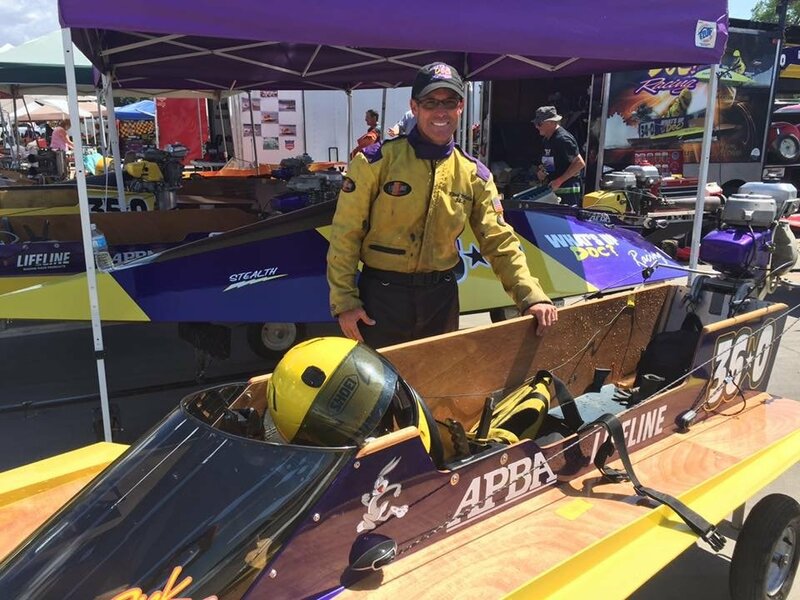 During his racing career he has a record of 86 National Championship wins (10 in 2016) in AOF (American Outboard Federation), APBA and NBRA, which are the most wins of any driver in the sport. 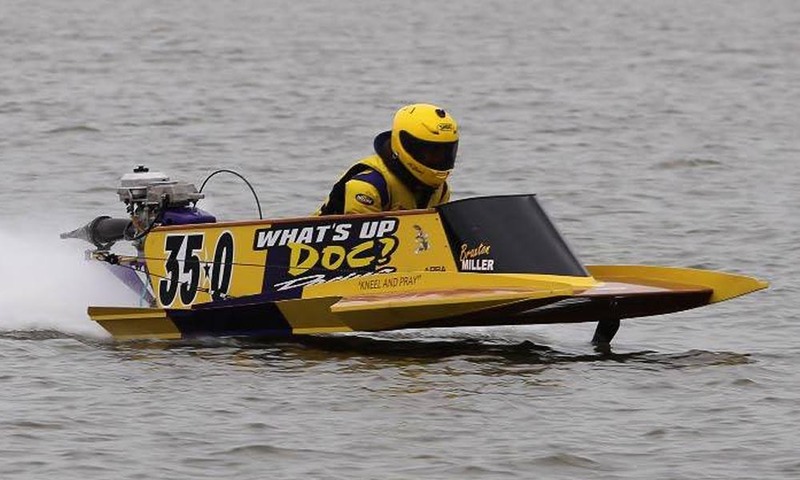 Rick is a practicing dentist with Grove Dental Associates. Braxton, driving since the age of 10, is an upcoming star in the sport of outboard racing. 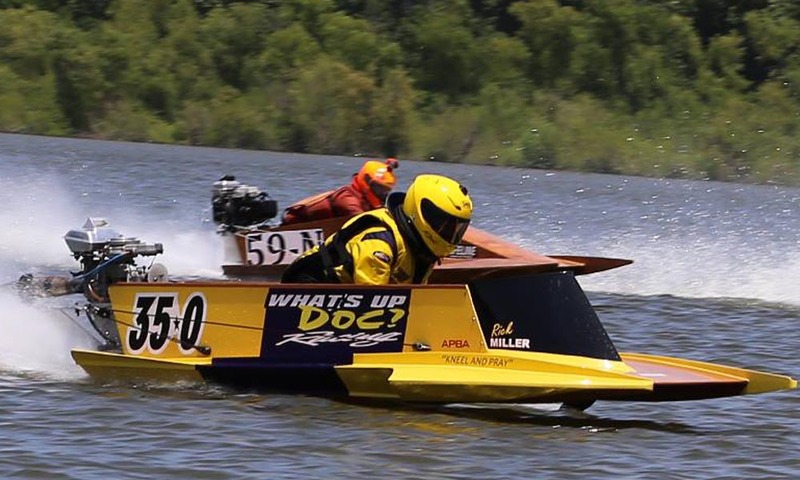 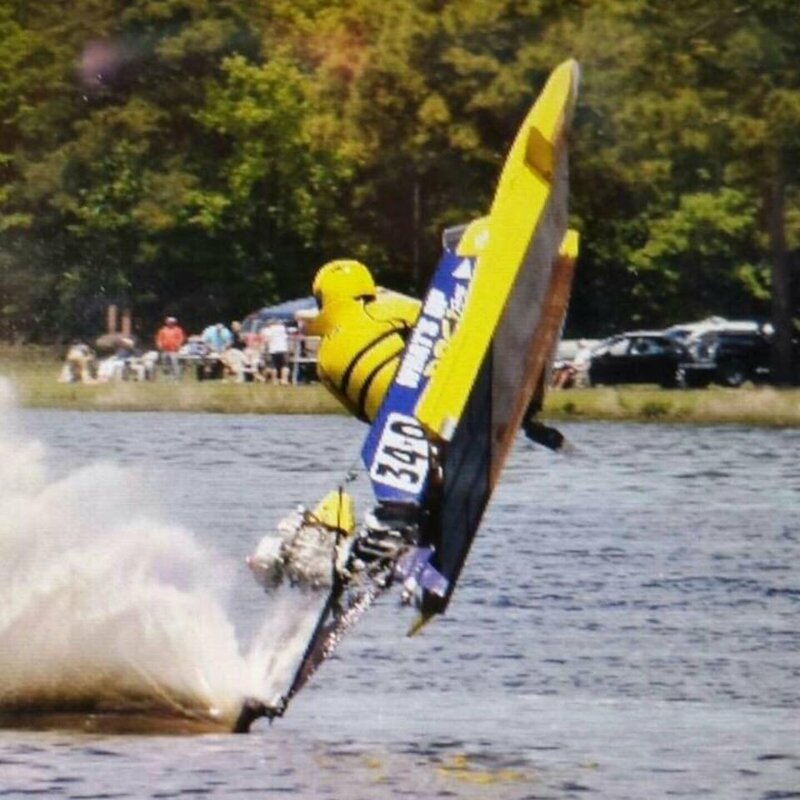 In APBA, he broke a speed record in the J hydro class and has won several Winter National races. 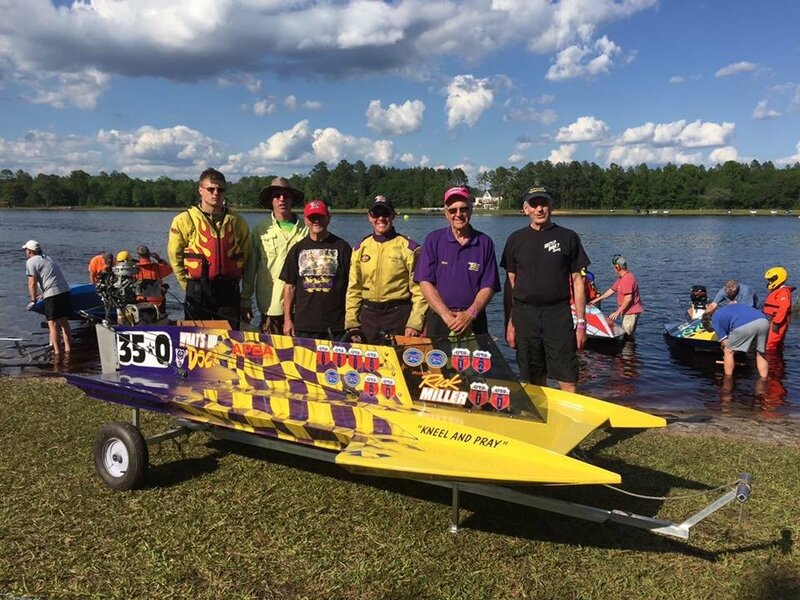 He finished 2nd in the "D" hydro at the APBA National Championship in 2015 at Wakefield, Mi. 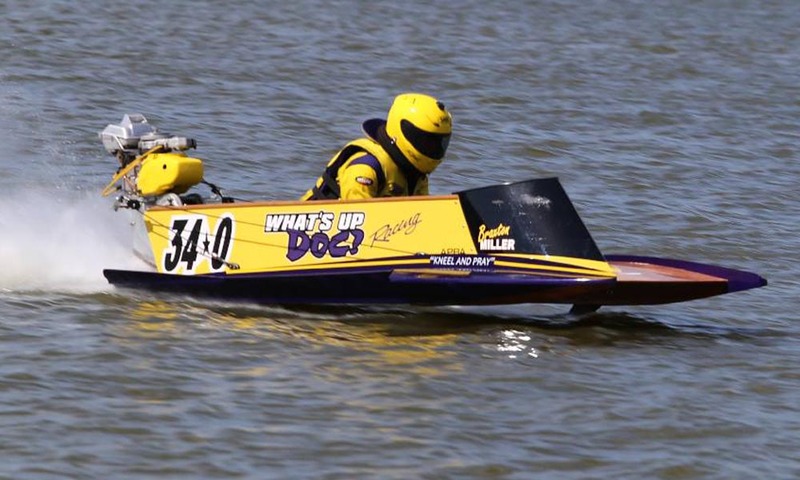 At the age of 18, he has won the National Boat Racing Association's National High Point of the year four times. 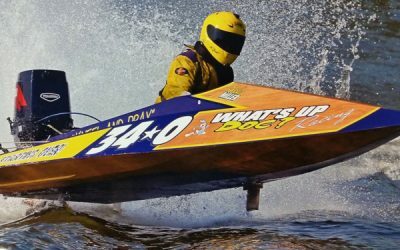 He has won 35 championships both national and North American championship races. 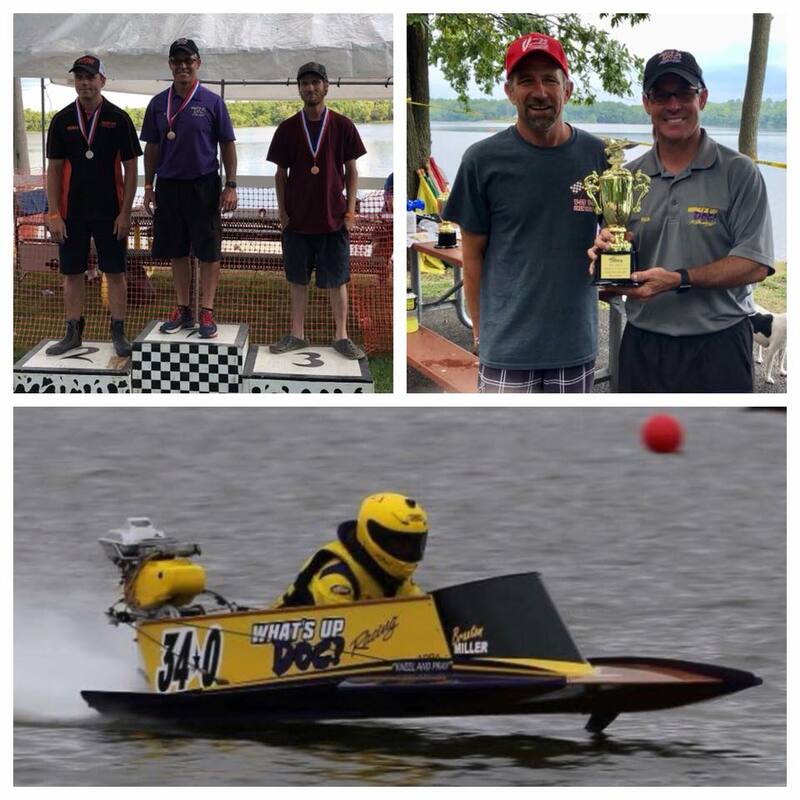 Leonard is a retired driver with four APBA championship wins and five AOF championship wins. A past president of AOF and life time member of both NBRA and AOF. 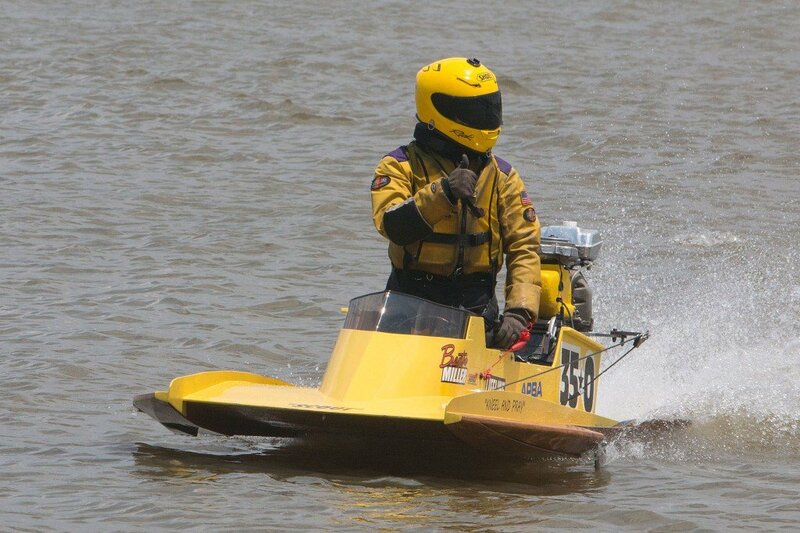 He is responsible for race preparation for 13 motors and 10 boats. 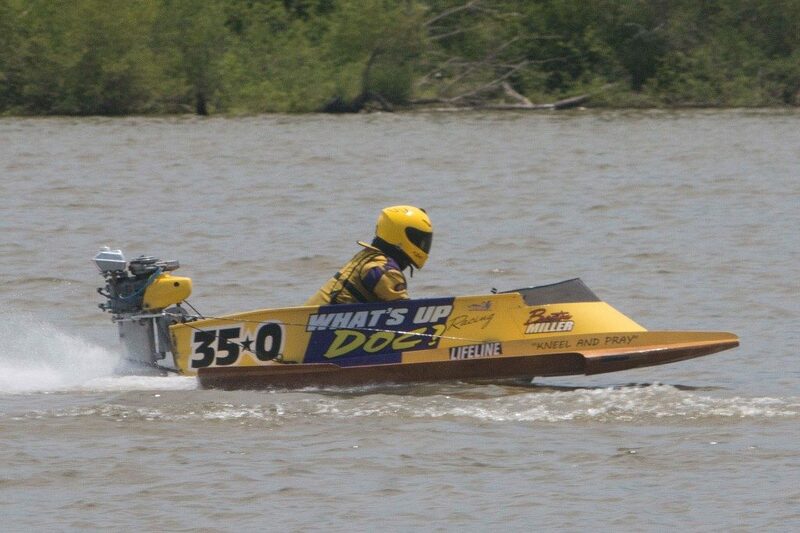 Charley is from Branson, Mo. 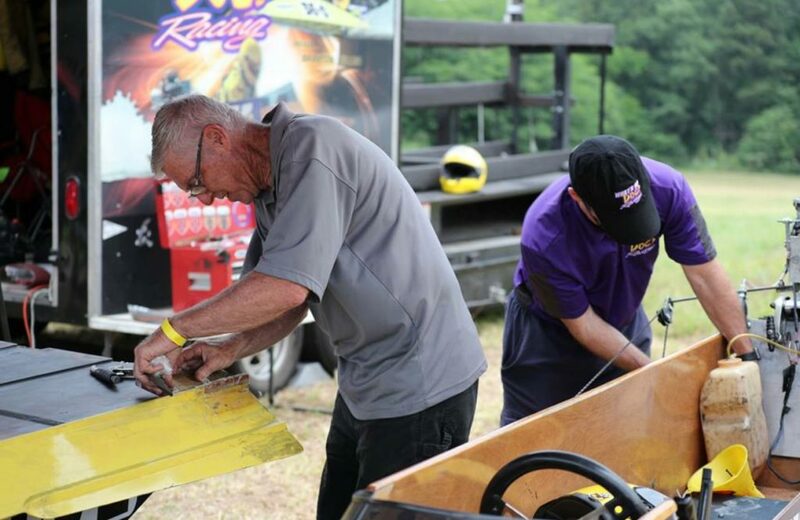 and has been helping in the pits with the set up and break down of the race equipment. 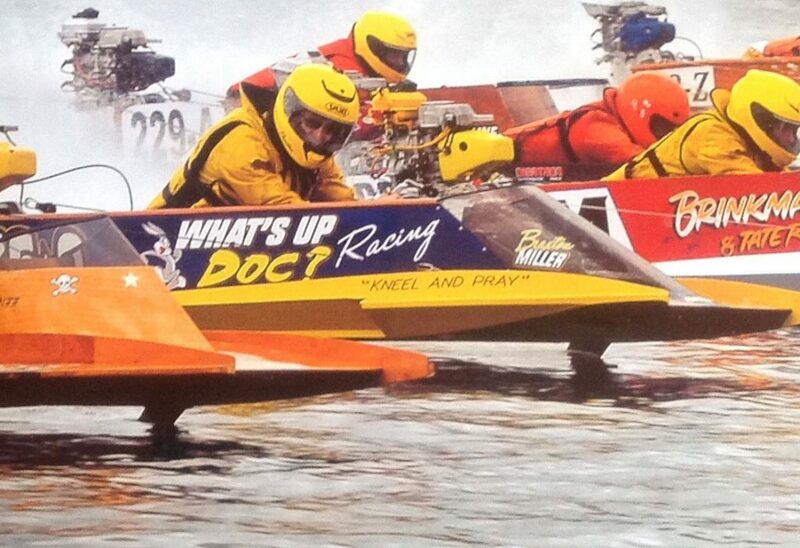 He was a active racer for many years and a member of the Mercury High Performance team. 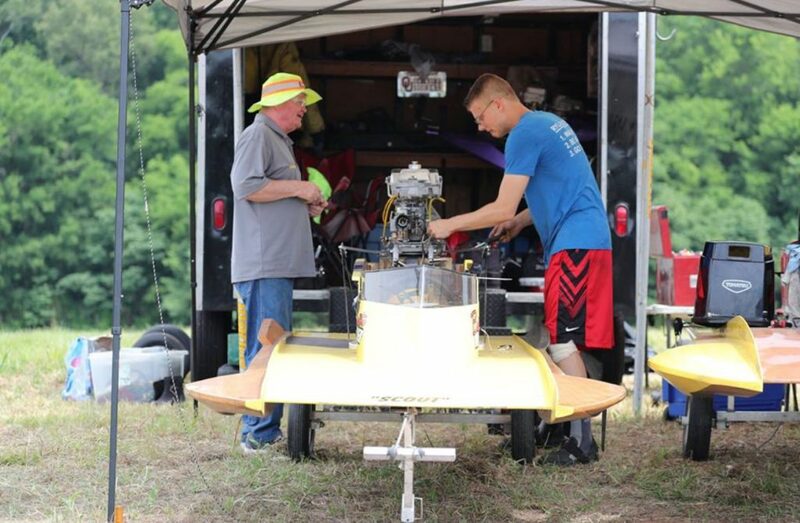 A important part of our race team is John Ruff. 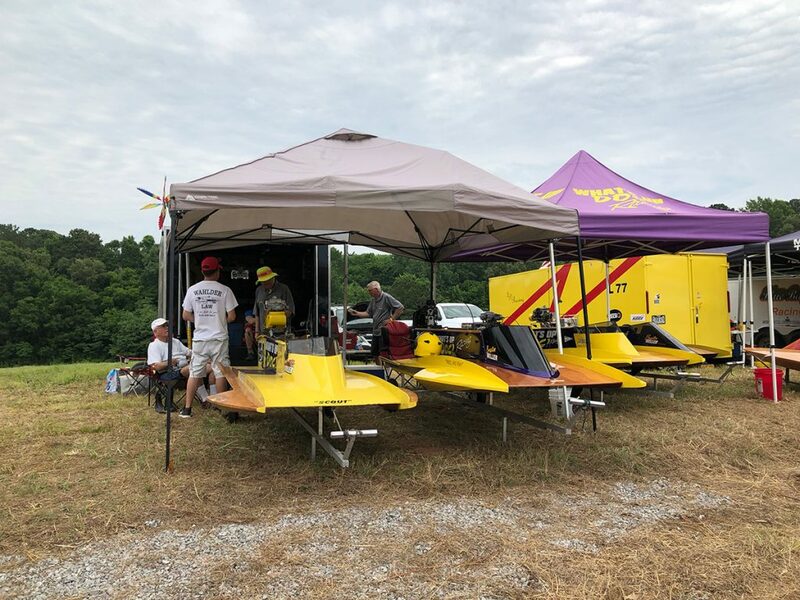 John is our Swiss Army knife, wearing many hats. 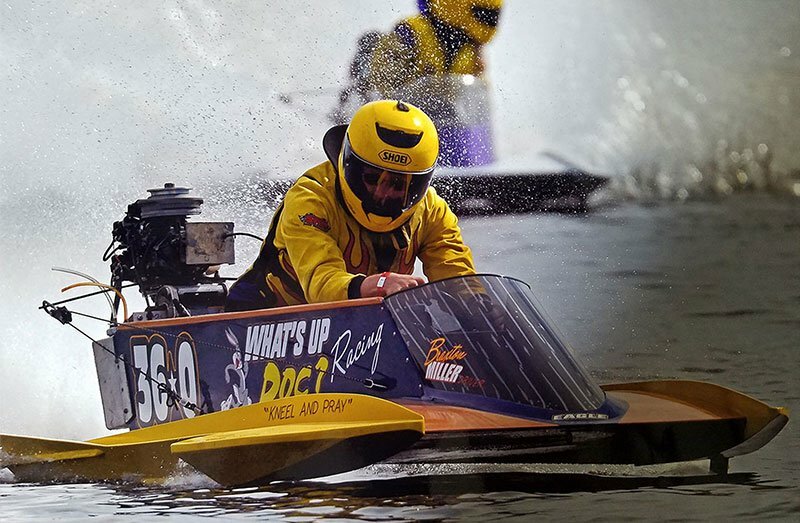 John has begun to announce for NBRA adding his many years of experience in outboard racing. 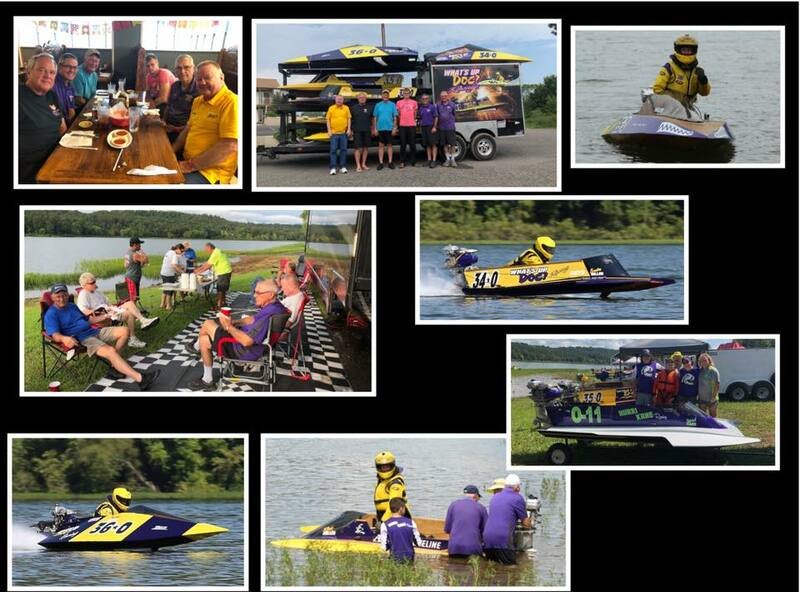 For our race team he drives the motor coach and he loves to cook. 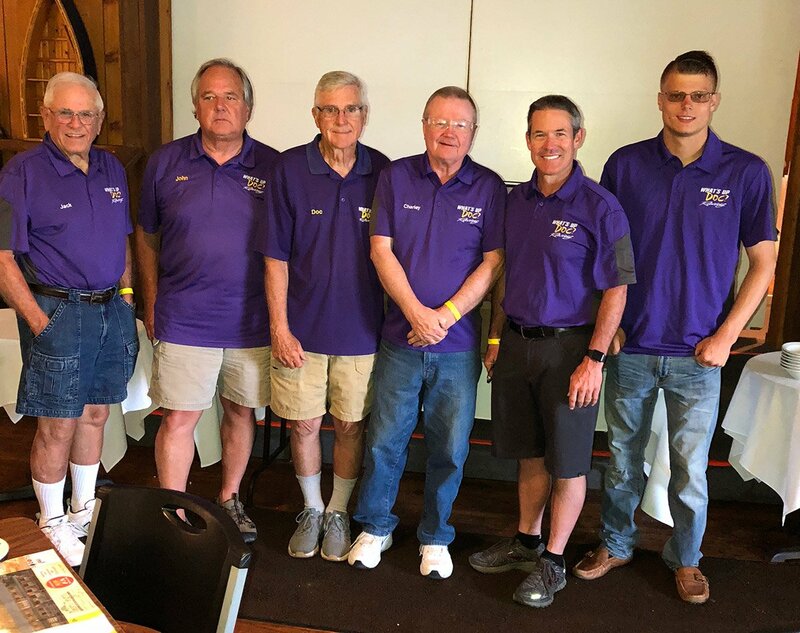 Guess what, our team loves to eat. Thanks John. 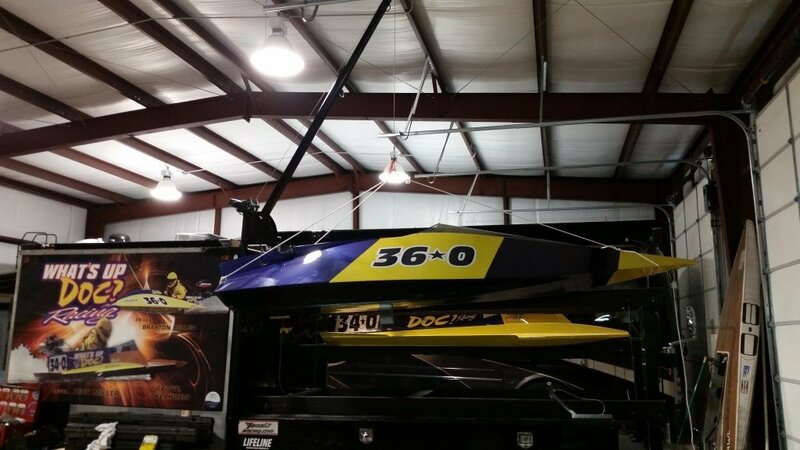 We ordered a laydown D hydro from Jason Dirkson who has built most of our newer boats. 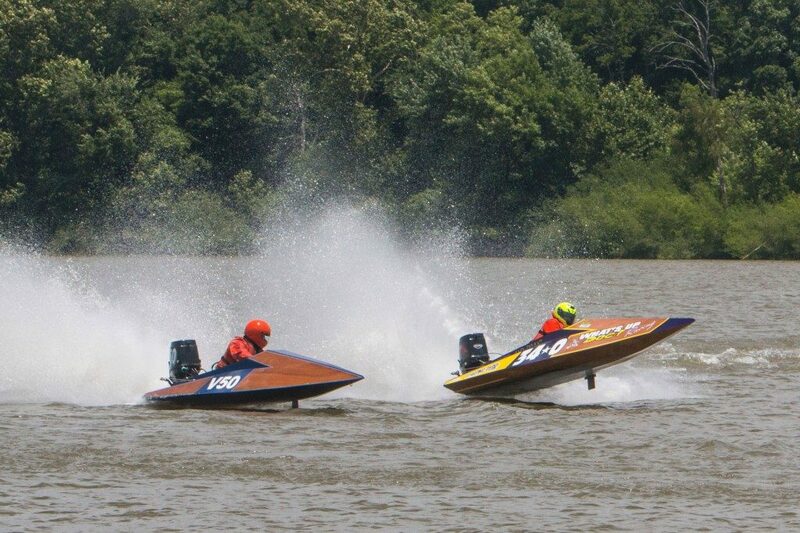 There are only a few boats that are participating in the laydown form in stock racing. 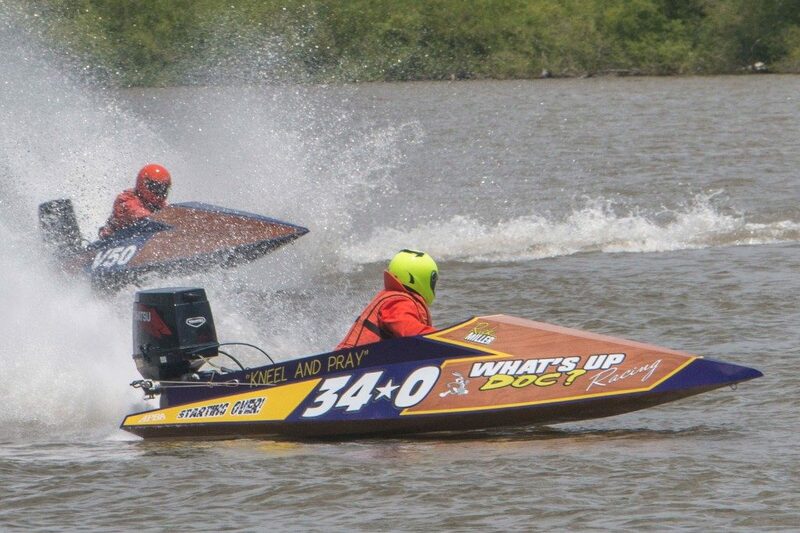 May 31- June 1-2 Grove, Ok. 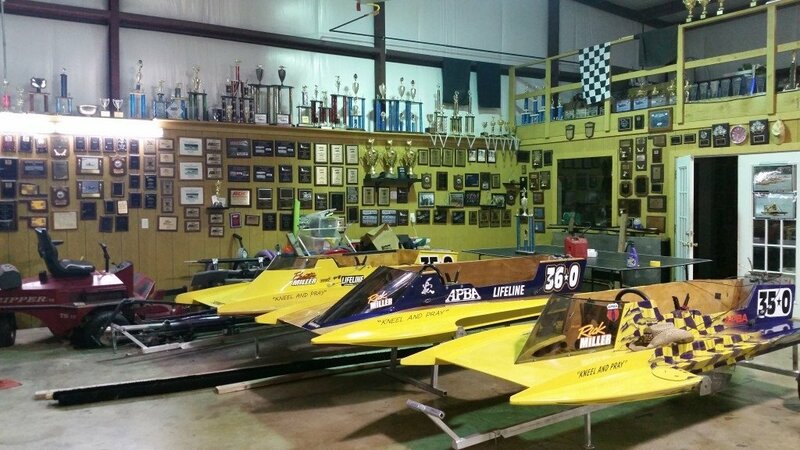 Racing Dates – Click red event numbers. 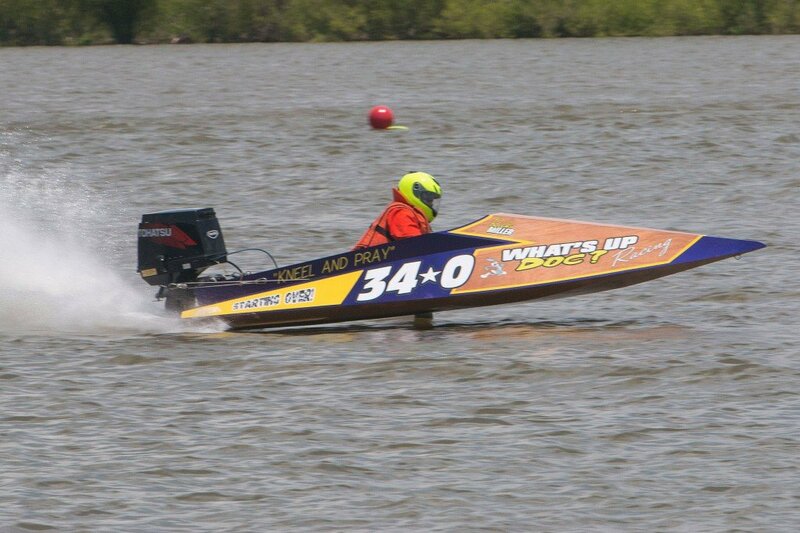 Braxton Miller wins the APBA Winter Nationals in the 400 mod hydro class. 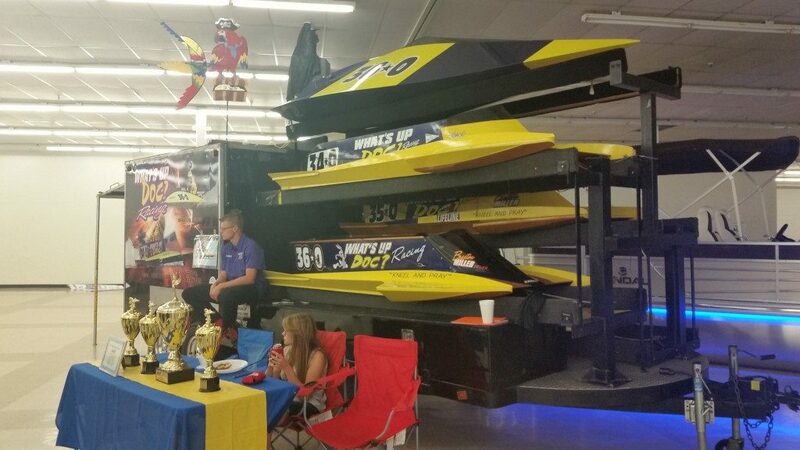 Click on image to scale up/start slide show.